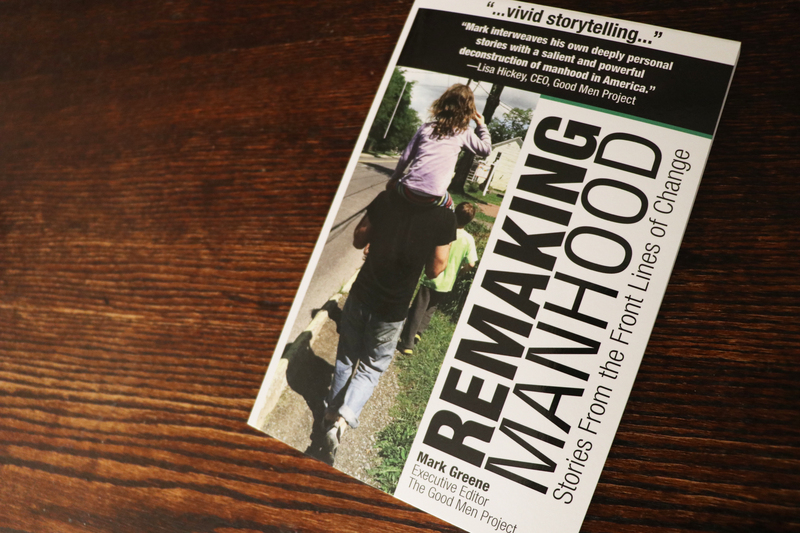 Over the course of just seventy-five brief pages, Good Men Project Senior Editor Mark Greene exposes the brutal price that man box culture extracts from men and women world wide. 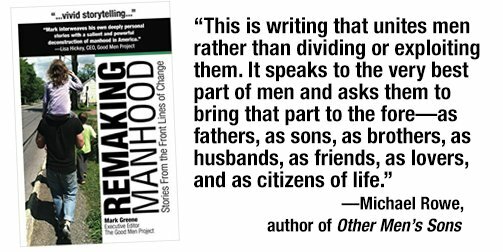 The Little #MeToo Book for Men is a concise, no holds barred call to action, inviting men to step out of silence and isolation and into the battle for a better future. “These rules determine how we walk, how we talk, what we think and do, what we view as our responsibilities and most importantly, how we pursue or fail to pursue our deepest needs, wants and desires. These rules of manhood become so central to what we believe as to render the distinction between ourselves and our culture of manhood invisible to us. When millions of men live our lives subject to the rules of a culture we are not fully conscious of, it can be damaging for our families, our communities, our collective quality of life, and even our longevity. Our book’s goal is to focus on a fundamental consideration: namely what happens when we mindfully center and care for our relationships. Relational thinking asks us to hold uncertainty, notice emergence and stay playful. It asks us to explore how, through the back and forth of relating, we co-create our roles as partners, parents and co-workers, how we are continually re-creating who we are, and how we make meaning. 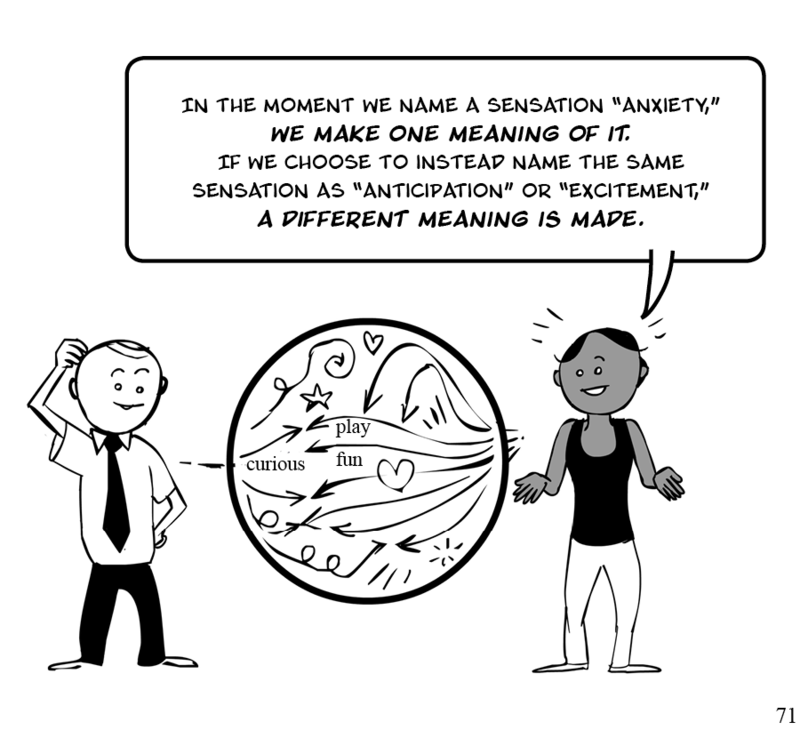 It’s such a sophisticated blend of theory and fun.The comic illustrations reinforce life-changing, culture-shaping ideas. It is not exclusive. It is not exhausting. It is brilliant! 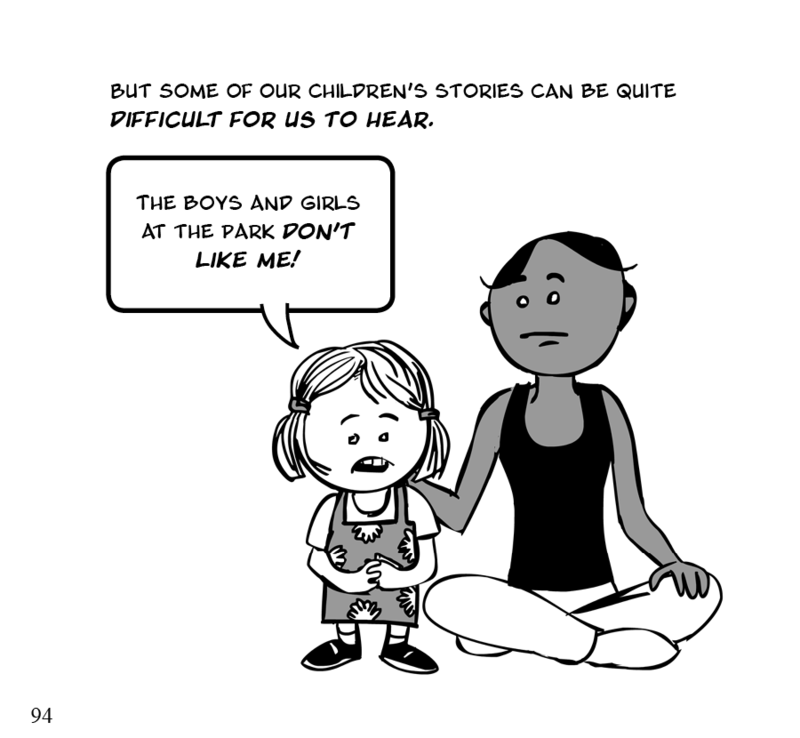 The Relational Book for Parenting is a perfect, timely response to the question so many parents are now asking. Namely, how can we counteract the detrimental effects of socialization, particularly problems related to our emotional disconnections and isolation from others? I invite you and yours to hone your “family relationship superpowers” by engaging with this brilliant and captivating guide.